Yesterday I received my first copy of Brew Your Own magazine. In it I saw an ad for something called The Grainfather. Currently listed on Kickstarter to obtain crowdfunding for a U.S. launch of the product, The Grainfather (pictured at the left) is an all-in-one system for home brewing. I read some reviews of the product and found a copy of its instruction manual online. It looks like it makes all-grain brewing a lot simpler and easier. In the device, you can mash your grain bill, sparge it, boil the wort, chill it to yeast pitching temperature with the counterflow chiller pictured next to it (looks like a big hose), and pump it into your fermenter. The only thing not included is the fermenter and a place to hold/heat your sparge water... but if you have an existing brew kettle you can use The Grainfather to boil a batch of sparge water and use the built-in pumps to pump it into a kettle or stainless steel fermenter to cool down to sparge temperature while mashing the grain in The Grainfather. Brewing with The Grainfather is said to be very simple. You start by filling The Grainfather with an appropriate amount of water for your recipe, plugging it into a standard 120V wall outlet, switching it on, and setting your mash temperature. Then you insert the grain filter basket into The Grainfather's kettle. The Grainfather's built-in electric heating element will raise the temperature of the water to mash temperature. Slowly add your grain and stir to ensure that it all gets wet. Then wait as The Grainfather gets your mash to the desired temperature and keeps it there. If your mash requires multiple temperature steps, you can come back to The Grainfather at appropriate time intervals and adjust the mash temperature on the electronic controller. As The Grainfather mashes, it also recirculates the wort over the grain using its built-in pump, to increase malt extraction efficiency. When the mash is finished, you lift the grain basket carefully up out of the wort and lock it into place in clips inside the kettle. Then you sparge the grain using the water you prepared earlier. When you're finished sparging, you unlock and remove the grain basket and can easily dump the grain. Next, you set The Grainfather to boiling and boil your wort, adding hops and other ingredients as appropriate. When the boil is finished, you switch off the heating element, attach the counterflow wort chiller to The Grainfather and a source of cold water, then start the pump. The Grainfather then pumps the finished wort through the counterflow chiller into your fermenter, where it should be ready (or nearly ready) to pitch yeast into. At first glance, The Grainfather seems expensive at around $1,000. 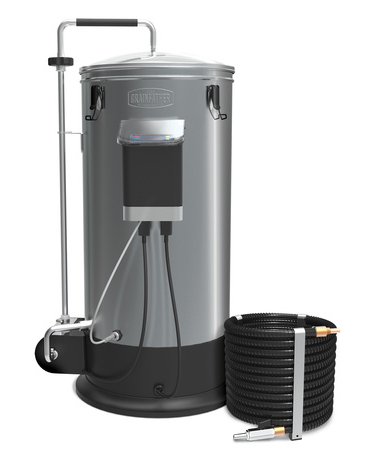 But you have to consider for this price that you're getting an 8-gallon brew kettle (often around $200), a 2000W heating element, a grain basket, recirculating pump (around $150 I think), counterflow chiller ($70+), and an electronic temperature controller. You could probably build something like it yourself, assuming you had the skills and tools, but you wouldn't have the support of a company that's been selling and servicing their products for years (outside the US). I'm not sure of the legality of this in Ohio, but there is also a distilling attachment made of copper that can be added to The Grainfather to make it possible to distill alcohol in the device. Before you do something like that, you'll want to check with legal experts to determine whether that's allowed. Although I have all the equipment necessary to brew 5-gallon batches at home, I'm giving some serious thought to purchasing one of these through the Kickstarter. It would make the mashing, sparging, and cooling processes much easier and more reliable than what I do today. Reviews of the product say that it's not perfect, but it's easy to use and has a pretty high efficiency (75-82% according to reviewers). They say the wort it produces tends to be very clear. It doesn't seem to get bogged down with large grain/hops loads, and saves time relative to other methods that don't involve a high-end computer-controlled brewing system (that costs $2500+). Update August 7, 2015: I've received the Grainfather and assembled it. Here are my initial impressions of the product. Update August 16, 2015: Here are the results of my initial (non-brewing) test run of the Grainfather, to check for leaks, clean the unit, and determine mash/steep/boil times. If you've ever enjoyed a good craft beer, you may be wondering what was involved in making that beer. 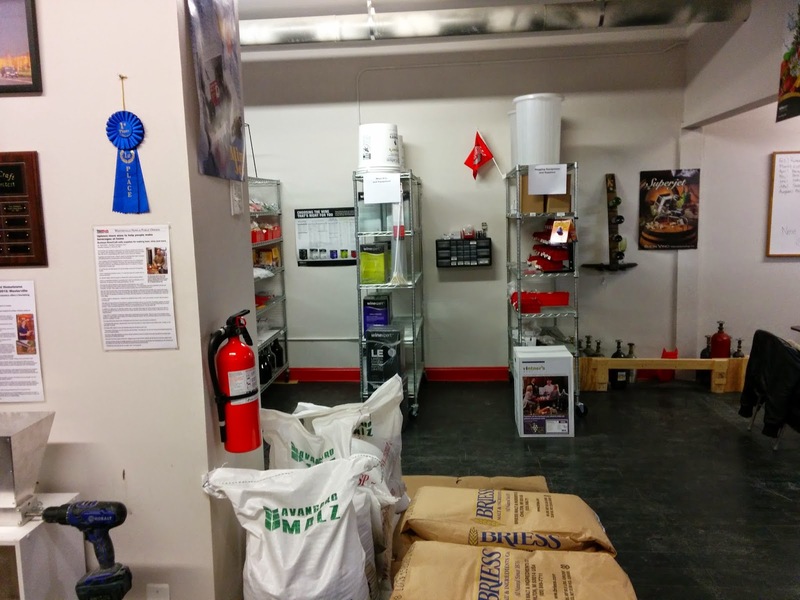 In this post, I'm going to provide an overview of what the home brewing process looks like. Depending on the style of beer you choose to brew, the exact steps may vary slightly from what I describe here, but this should be generic enough to show you the basics. You begin by choosing a beer recipe. There are lots of great recipes in books and online. (There are also probably some bad ones, so you need to be careful here.) You may also choose to purchase a pre-assembled, pre-measured kit. Kits are a good way to be sure you've found a decent recipe and have all the necessary ingredients available to you, but they may be a little more expensive than assembling your own ingredients. Create a wort (a concoction of hops, malt, and other ingredients). Boil the wort for some amount of time to sterilize it and allow the hops to provide bittering, flavor, and aroma. Chill wort down to a temperature safe for the pitching of yeast into it. Put the wort in your fermenter. Pitch the yeast into the wort. Seal the fermenter and install an airlock. Wait until the beer finishes fermenting. Clean and sanitize your bottles and bottling equipment. Add sugar or malt extract to the beer to prep it for carbonation. Bottle the beer and cap the bottle. Wait at least two weeks for the beer to carbonate. 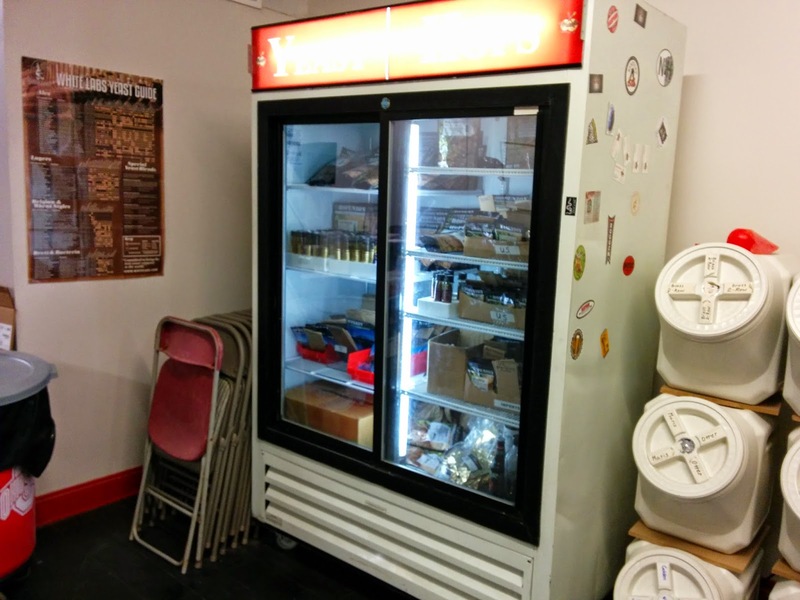 Refrigerate and enjoy the beer. I'm not going to cover all these steps in great detail in this post, but I hope to explain them all in more detail in future posts. I'll also be including video and photos where appropriate. The creation of wort through the sealing of the fermenter typically takes me about 3 hours. That includes gathering my ingredients and equipment, cleaning and sanitizing everything, making and boiling the wort per the recipe, chilling it to room temperature, transferring it to the fermenter, pitching the yeast, and sealing the fermenter. Once the fermentation process is complete, I need another two hours or so to gather and sanitize my bottling equipment, prep the wort for bottling, sanitize the bottles and caps, transfer the beer in to bottles, cap them, and clean up the mess. The longest (elapsed time) part of brewing is the fermentation and conditioning of the beer. Fermentation for some beers can take as little as a week or two. For some styles, fermentation may take several weeks to complete. Once the beer is bottled, it generally needs at least two weeks to carbonate. Some styles, like Belgian ales, need weeks or months in the bottle for the yeast to develop all the complex flavors associated with the style. If you don't give the beer the time it needs to completely ferment and carbonate, you'll end up with a bottle of flat, very sugary beer. Worse, you may wind up with "bottle bombs" where the amount of sugar in the bottle is so high that the yeast is too active and generates so much carbon dioxide that it literally explodes the glass bottle. This is not something you want. Brewing at home, then, should be seen as an exercise in patience and a labor of love. There are beer styles that ferment out in a week or so, and bottle condition in a week or two. These would give you a beer in roughly two or three weeks after you start. Most beer styles need a little longer than that, and high-gravity (i.e., high alcohol content) varieties may need the longest. Now that you have a basic understanding and expectation of the home brewing process, next week we'll dive into "wort creation" a bit more deeply. Today, I visited Buckeye Brewcraft. 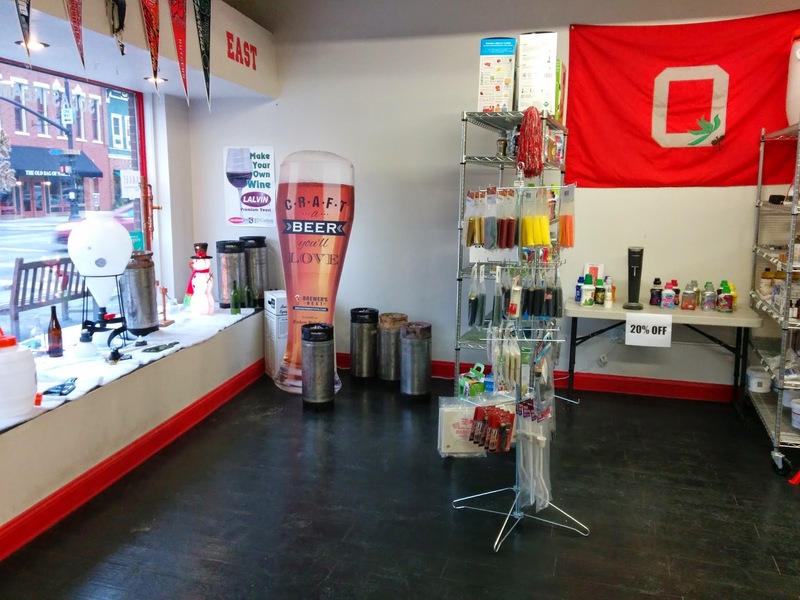 Located on North State Street in Westerville, the shop offers a good variety of home brewing equipment and ingredients. 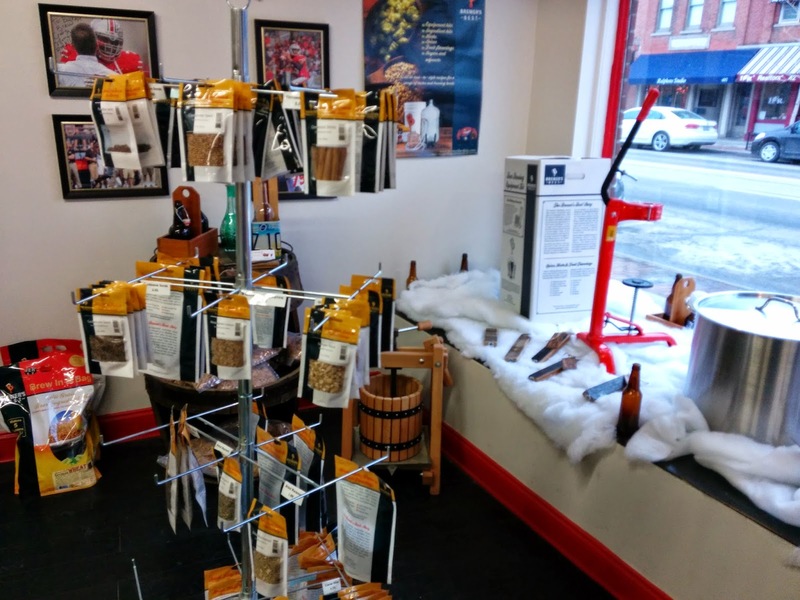 Buckeye Brewcraft also features wine making and home soda making equipment and ingredients as well. Although I didn't do an extensive comparison, prices seemed competitive with mail order home brewing suppliers, especially when you factor in shipping costs. 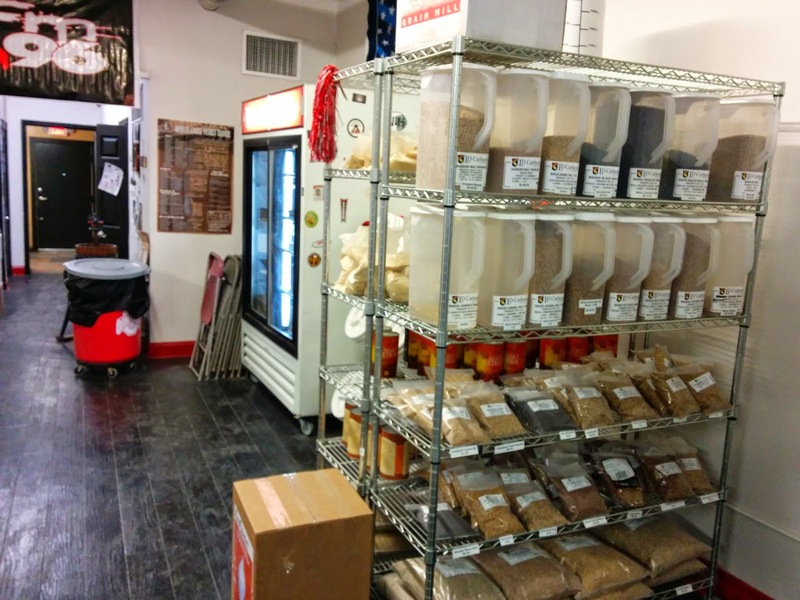 Inside the shop, you'll find an array of spices and flavorings for home brewing, such as sweet orange peel, cardamom, and cinnamon sticks. You'll find fruit essences (e.g., blueberry flavoring). You'll find a wide variety of grains, extracts, hops, and yeasts. They also feature a good supply of brewing and bottling equipment. I saw bottle cappers, brew kettles, mash tuns, wine presses, empty bottles, the FastFerment fermenter, used corny kegs, bottling buckets, hoses, airlocks, caps, and much more. 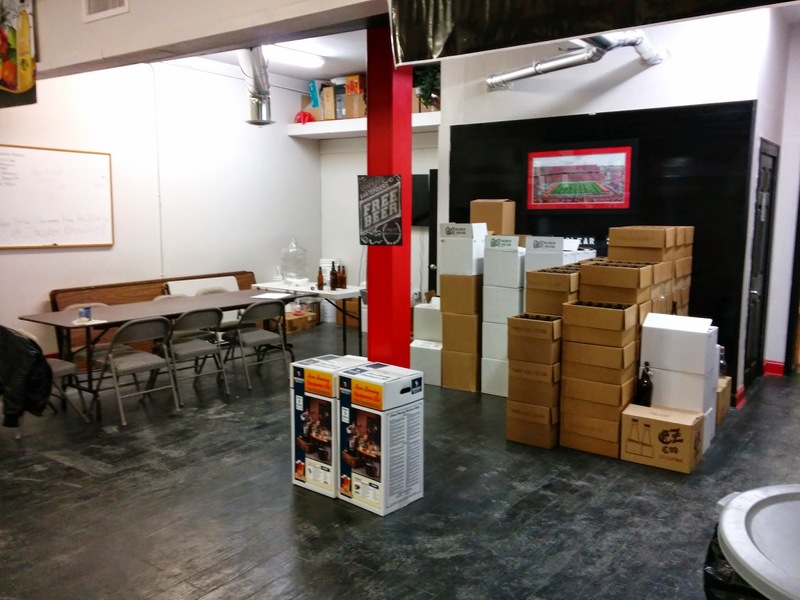 They offer kits for a variety of beer styles, as well as bulk ingredients. 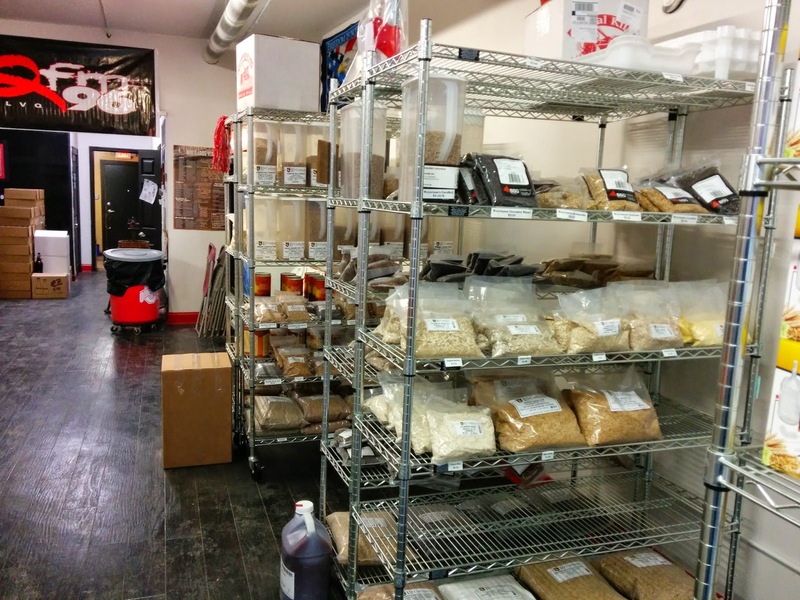 Every grain or extract I've used in home brewing to date was available here... so it could easily serve as my go-to store for brewing ingredients. There is a yeast chart on the wall depicting the various White Labs yeast strains and the beer styles they're good for. Many yeast and hops varieties were available in their refrigerated section, too. 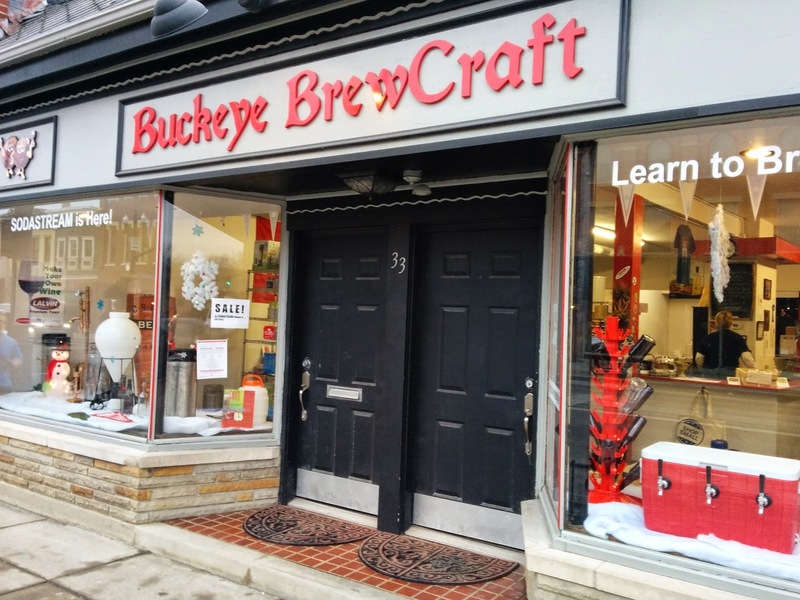 All of this would probably be "enough" for a typical homebrew shop, but Buckeye Brewcraft goes the extra step of teaching home brewing classes as well. To find out when the classes are scheduled, or when other events are going on at the shop, visit their web site and click the Calendar link. 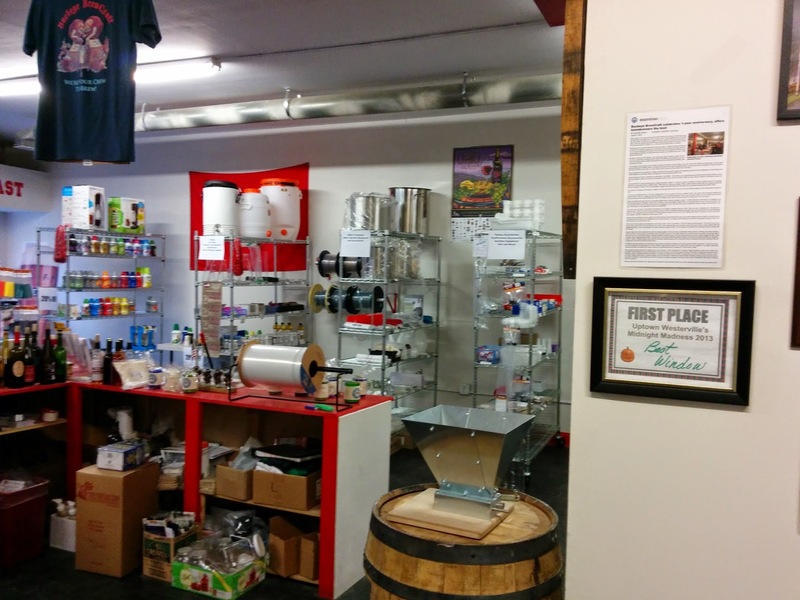 To encourage home brewers, Buckeye Brewcraft also features home brewing contests. At the time this post was written (Feb. 2015) they were accepting entries for their 2015 IPA contest, which will take place on March 21, 2015. I'm told there will be a Belgian Ale contest in June. I might just have to enter that one. If you're a Columbus area resident interested in learning to brew your own beer, I would definitely recommend the shop. 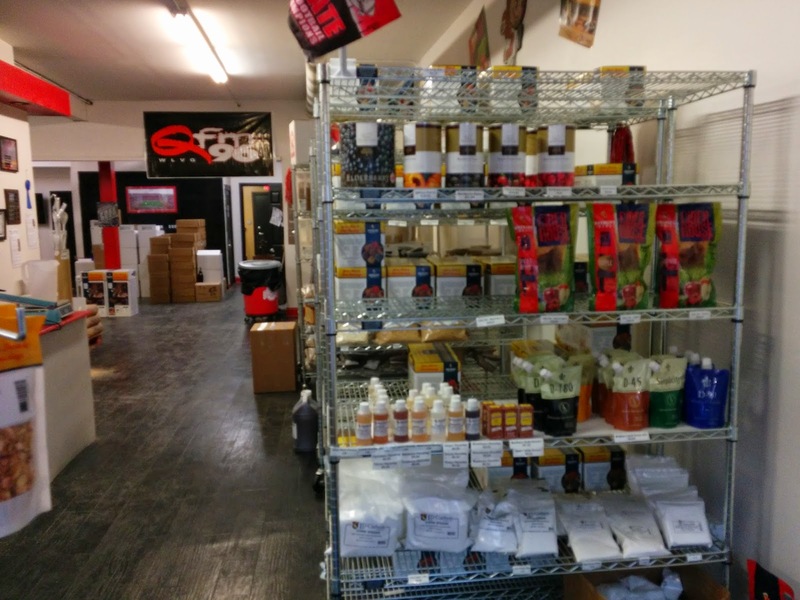 The staff is knowledgeable and friendly, the selection is good, and they teach as well as sell. The shop is (at the time of writing) open 7 days a week. Monday through Saturday they're open 10am to 7pm. Sundays they're open from noon to 5pm. It's Time to "Begin Brewing"
There is a lot to learn and know about brewing beer. I've been doing it for a few years now, and I definitely don't consider myself an expert. I've made mistakes that required me to toss out a batch of beer, mistakes that resulted in a beer that didn't meet my expectations, and mistakes that cost me some extra money. If you're interested in brewing your own beer but feel like you have a lot to learn, I understand your concern and I built this blog to help folks like you. I want to help you make good choices of equipment, pick recipes that challenge you but don't exceed your skill level, show you how to do some basic things in brewing, and hopefully help you avoid the mistakes I made early on. Those are just a few things off the top of my head. If you have suggestions for posts you'd like to see, let me know in the comments. While we're on the subject of comments, I totally encourage them - provided that your comment is related to the post and constructive in some way. Can you correct a mistake or misunderstanding in my post? Do you have additional information (or a good link) to share on that topic? Do you have a solution to a problem I'm describing? Do you just want to say "thanks" for the article? Go ahead. The first "real" post will appear in about 24 hours. Posts should appear approximately weekly after that, or more often when I can write them. I hope you'll be back, and share this site with your home brewing friends. Thanks!